If you find anything in human life better than justice, truthfulness, self-control, courage… turn to it with all your heart and enjoy the supreme good that you have found… but if you find all other things to be trivial and valueless in comparison with virtue give no room to anything else, since once you turn towards that and divert from your proper path, you will no longer be able without inner conflict to give the highest honour to that which is properly good. What do you want your life to ‘stand for’ or ‘be about’? What sort of person do you most want to be in your various relationships and roles in life, e.g. as a parent, friend, at work or in life generally? I spent a long time thinking and writing about what values are and how sometimes when my personal values differ from others, it may be helpful to recognise that and decide to accept the differences. 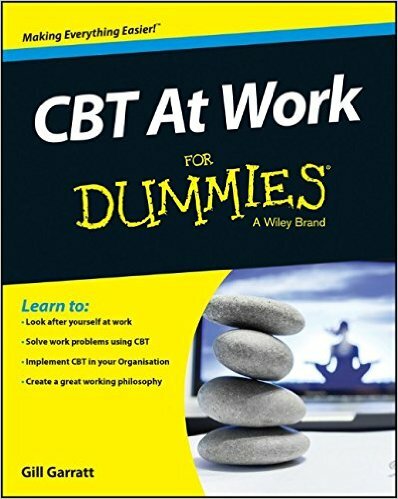 My new book ‘CBT at Work For Dummies’, spend a few sections looking at how personal values can be at odds with work values, both in terms of colleagues and company values. How to deal with the potential conflicts in order to create peace of mind and consciously minimise stress.